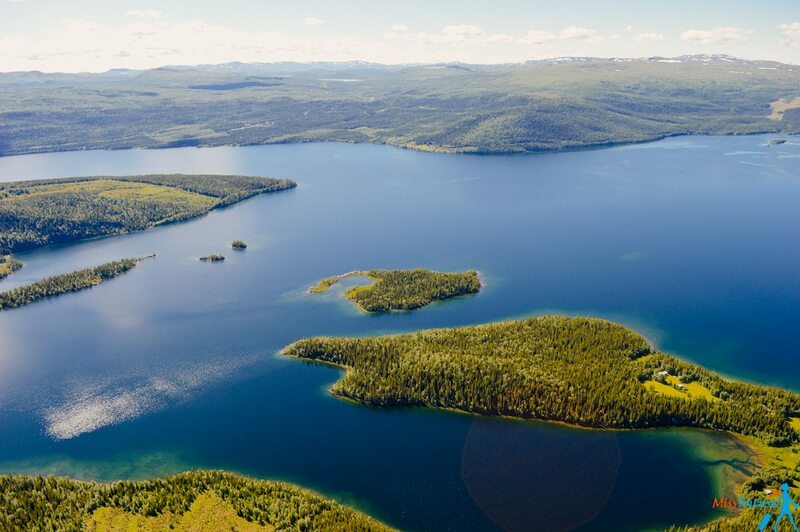 What do you know about Lapland except for the fact that Santa Claus lives there? 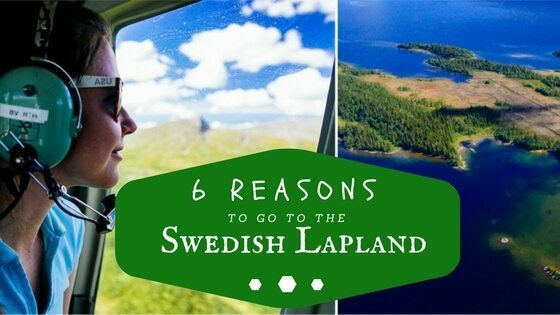 Let me show you why you should consider Swedish Lapland for your next vacation! 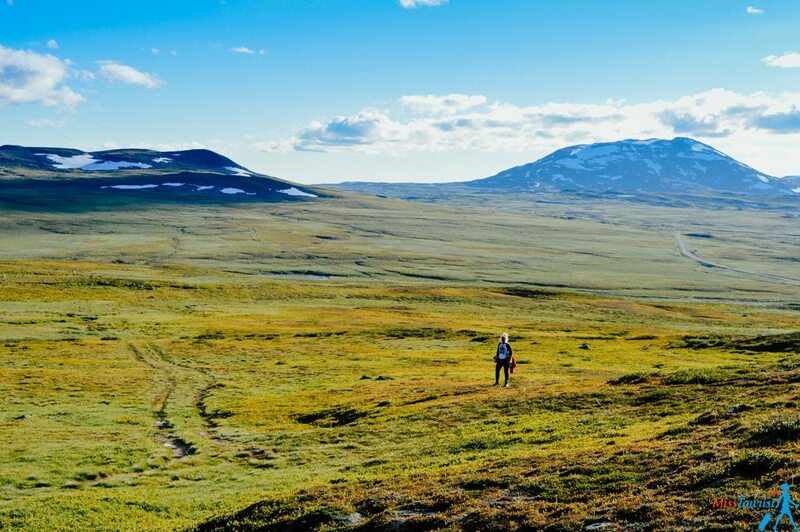 Lapland is huge. It stretches around the Arctic Circle in the northern part of four countries: Russia, Finland, Sweden and Norway. I have had a chance to see the breathtakingly beautiful region from the Swedish side. 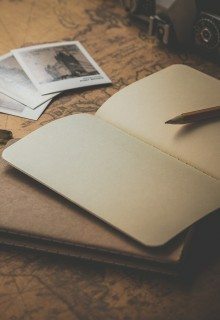 And now I want to share my experience with you. It is the home of Europe’s last wildness and untouched nature. 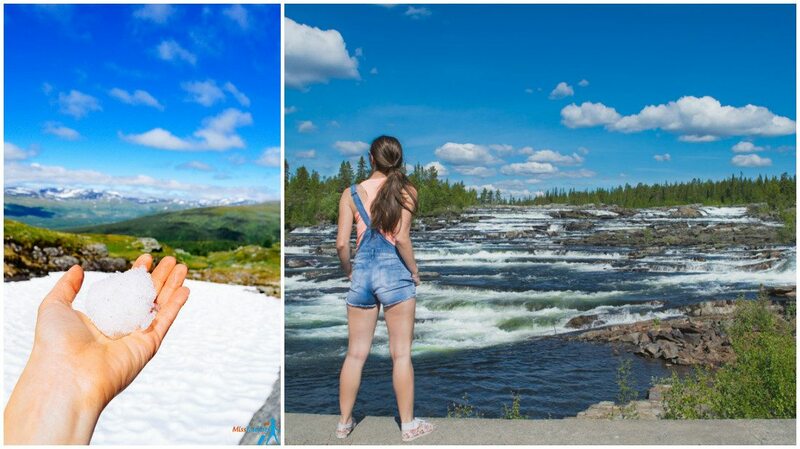 And if you are thinking that it’s always cold there, let me show you these beautiful pictures from when I visited Northern Sweden in July! This will change your mind. 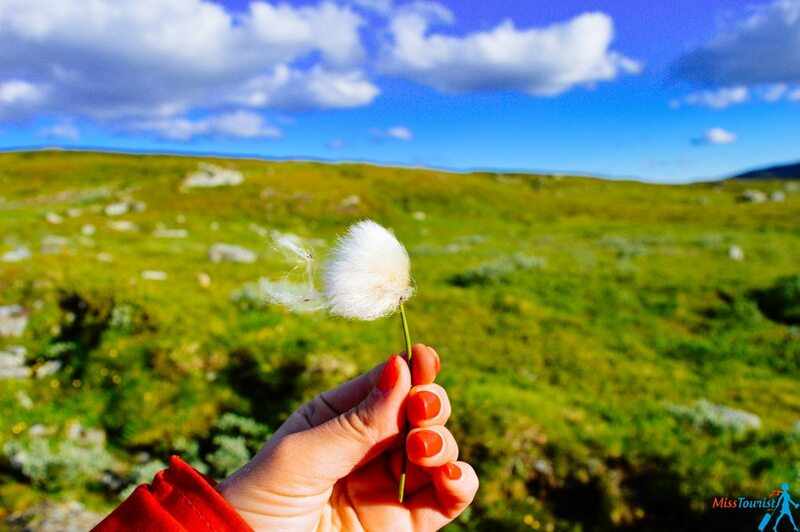 First things first – I flew to the North of Sweden to a city called Hemavan Tarnaby. 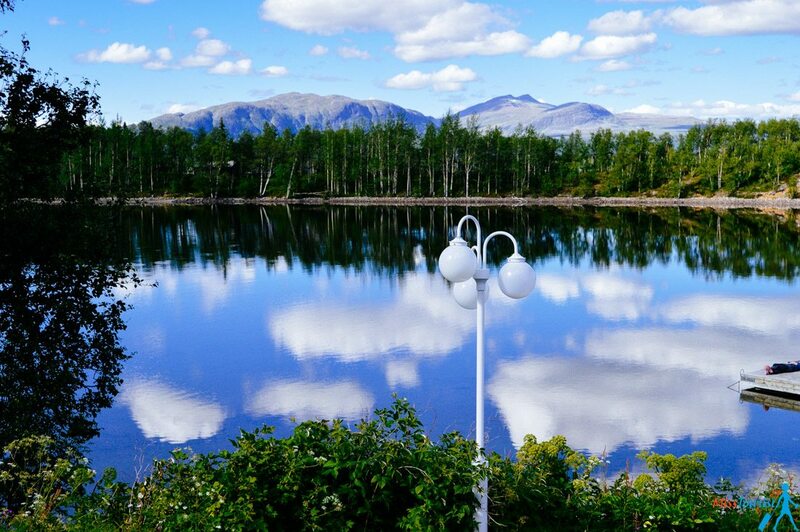 It is just about 100 km from the Arctic Circle. 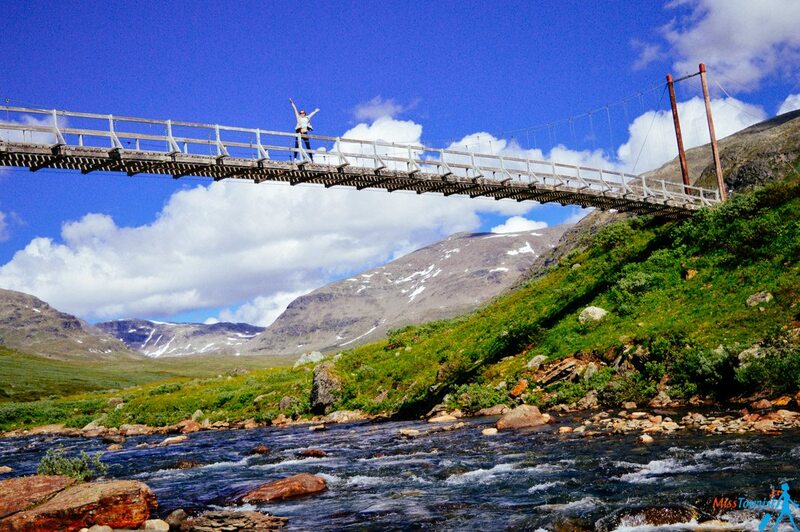 A popular ski resort in the winter, Hemavan Tarnaby offers breathtaking nature trails in the summer time. 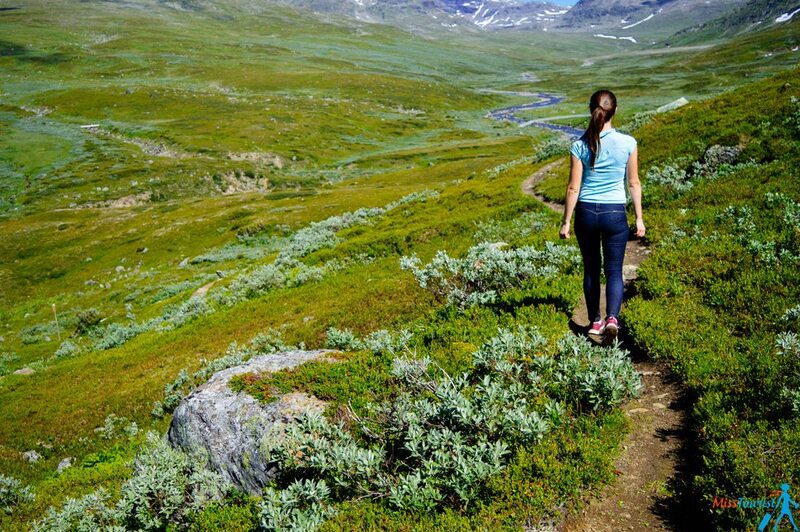 If you want to go somewhere that’s undiscovered, do incredibly beautiful mountain hikes where you will be almost alone, without being bothered from crowds ofrother tourists, you should go there! The air is so crisp you can touch it! I found the nature to be similar to Torres del Paine (but much less touristy) and in some places, similar to Icelandic terrain. 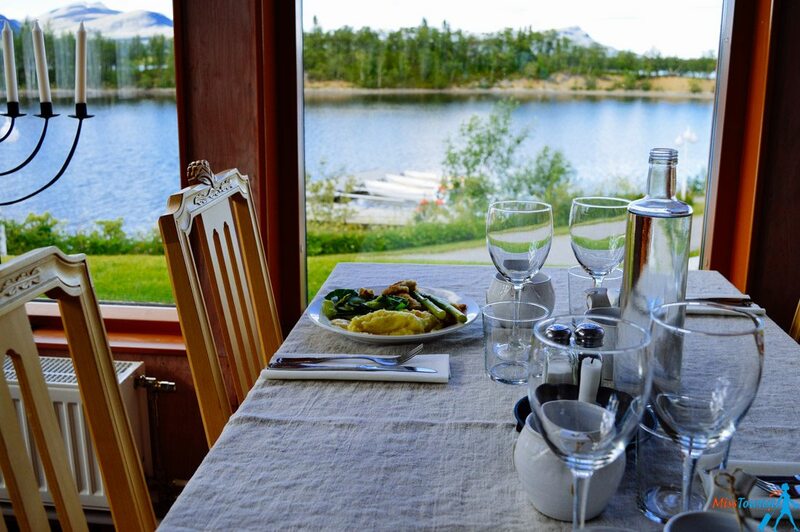 We stayed in a hotel called Trolltunet which is owned by the legendary Swedish slalom skier, Stig Strand. If you stay there, ask for the room with a sauna! Mine was great! Other things to visit around there: The flora of the region is pretty much as you might have guessed. There is a lot to see in the Alpine Botanical Garden. The next stop was Saxnas, a town seven hours drive down South from Hemavan Tarnaby. – A 7-hour drive is a bit too long, right? – How about we rent a helicopter? Huh, so we did! Yes it is pricey, but it is worth it as it was one of the most incredible experiences of my life! It was breathtakingly beautiful, I felt like I was watching the Discovery Channel live, not on TV. You get picked up by a helicopter in the middle of the hike, and by that time, the pilot has already taken your bags from the hotel. How awesome is that? 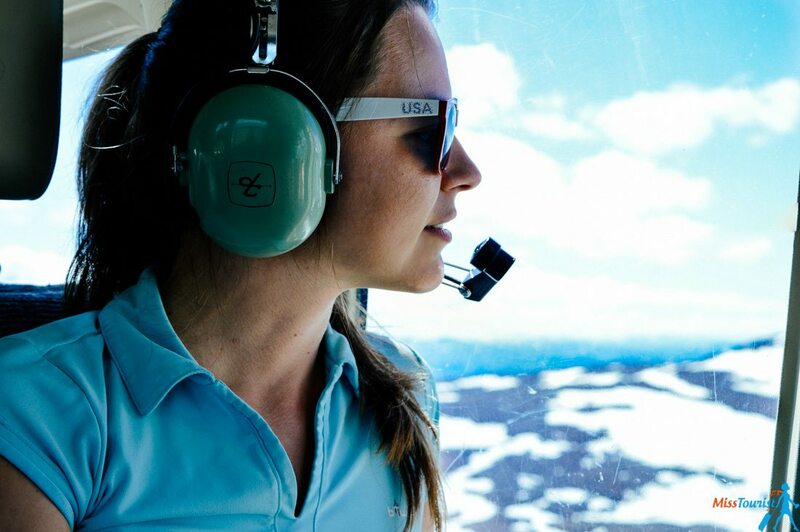 The whole flight took about 30 minutes during which we flew over lakes, glaciers, mountains and we even spotted some wildlife! Did I mention it was one of the best experiences of my life? I have already taken a viper flight in Vrsar in Croatia, which was a completely different experience as it was more of a resort destination with islands and beaches all around. No wildlife and glaciers spotted! See the video here. Do it if you can, you will never forget it, trust me! 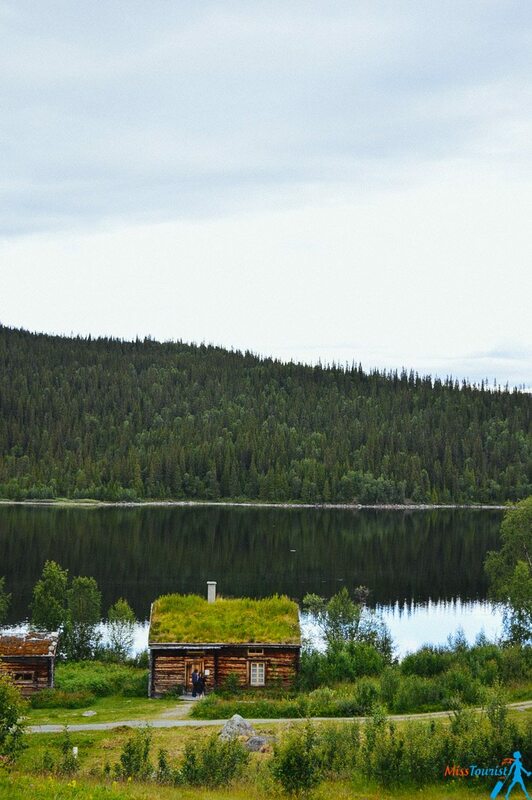 Saxnas is a picturesque town, located in the mountains of South Lapland. 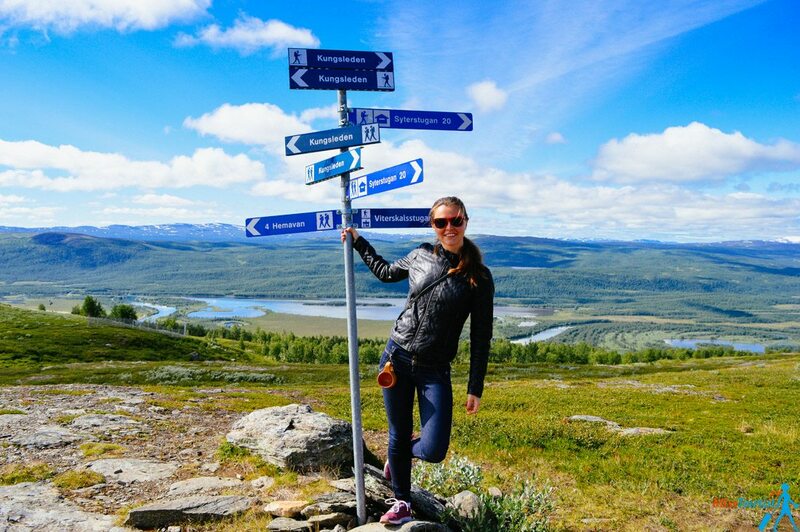 It is probably my favorite destination out of everywhere we have been in Swedish Lapland! The helicopter delivered us right to the front door of our hotel in Saxnas so that we could simply relax and enjoy watching that mirror-like lake reflection while sipping our beer. I have heard many people come here for a quiet honeymoon, and I can now see why. Such a fantastic place for nature lovers! 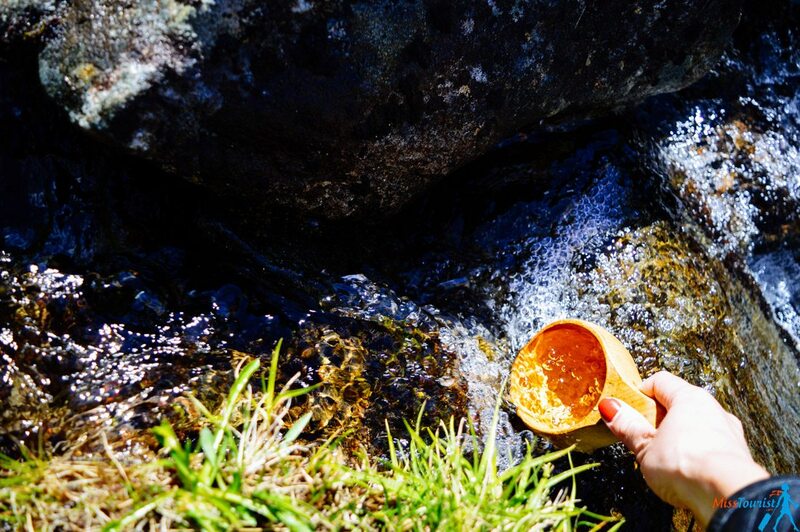 Afterwards, when you are bored from fishing and relaxing, if you feel like some activities, I recommend you do mountain snorkeling! It was so much fun to dive in a clear mountain stream and even jump from the cliffs there! Oh, and it is not dangerous at all! Watch the video above to see what I am talking about. If you are afraid you will freeze to death in that mountain river, I can assure you that it is not that cold. In fact, it was not cold at all, at least in July. You will get a thick wet suit and you won’t have to worry about anything – you will be warm. Please see the video above to understand what I am talking about! Nils from Stalo Adventures fully organized this tour for us. He is a professional instructor and just a truly passionate guy about the local nature and showing his wonderful region to tourists like me and you. This picture was taken at 2 a.m. by the way! Every summer in that part of the world, you can observe a natural phenomenon called the “Midnight Sun”. It is a period of time, a couple of months, when the sun never sets. What do you mean – the Sun never sets? Like never? Well, pretty much yes, never, until the end of July. And I will tell you that it is SUCH a weird feeling. You can experience the phenomenon in Stockholm too, and even in Saint Petersburg, but the more North you go, the longer the daylight. The best thing about the phenomenon? You can do absolutely whatever you want for the whole day and night. Swimming, fishing, hanging out with friends, searching for a lost iPhone – you name it! P. S. If the midnight sun is just too weird for you, and you can’t fall asleep because of the light and you really need your beauty sleep – just close the curtains. That will to persuade your confused body that it is now night time. but it was no matter of concern – just draw the curtains tight and pretend like it’s night! Feeling like an adventure? Go arctic foxes watching! 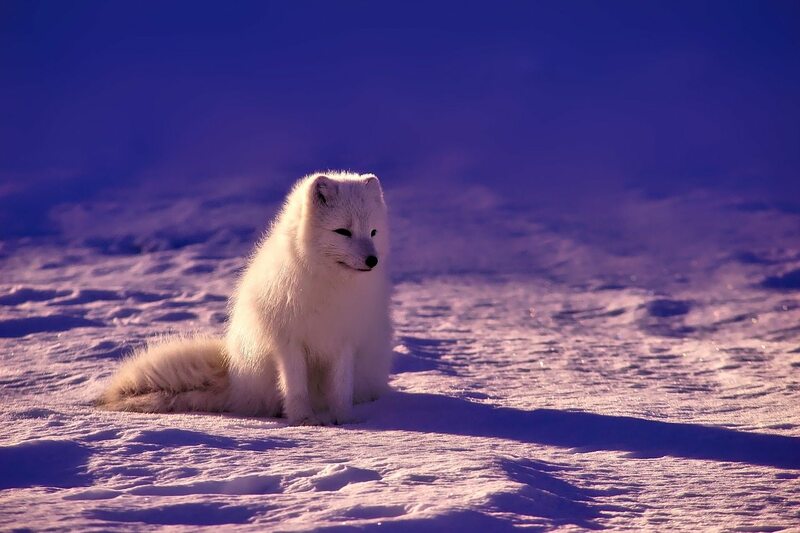 Arctic foxes are rear extinct animals (they are super cute though!). There is no guarantee you will see them in the wild (we did not), but it is an amazing hike nevertheless! Nils, the same guy who took us mountain snorkeling, knows places where the arctic foxes stay. For the sake of their safety, we’re not allowed to share this location, as the government is trying to protect extinct animals from poaching. Even if we did not see the foxes this time, it was such an amazing hike; I have absolutely no regrets we did it! TIP: Make sure to cover yourself with mosquito repellent. I have never seen that many mosquitos in my life! There are so many things to do around in the area, that I recommend staying for at least a couple of days. We stayed in STF Saxnäsgården Hotell & Konferens – a great hotel with an outstanding view of the lake with perfect mirror reflection. 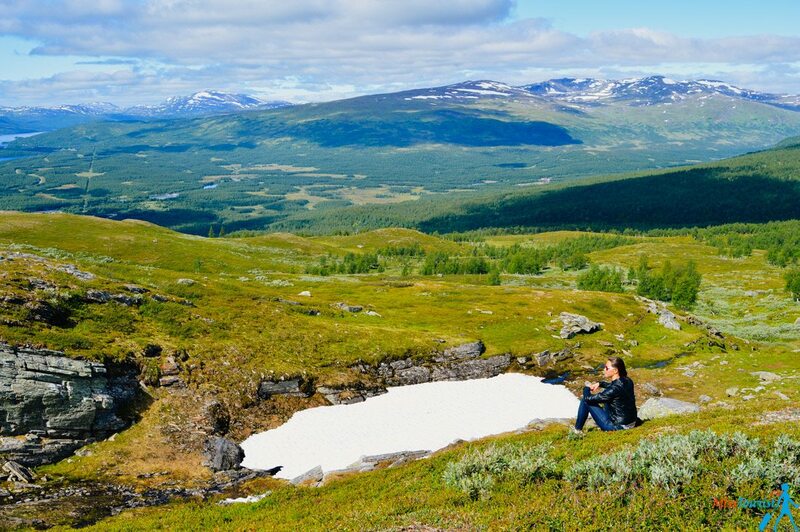 No visit to the Swedish countryside should happen without getting acquainted with the culture and lifestyle of the Sami people. Samis are indigenous Finno-Ugric people who inhabit the Arctic area. If you are interested in the way they live, I can suggest paying a visit to Fatmomakke. 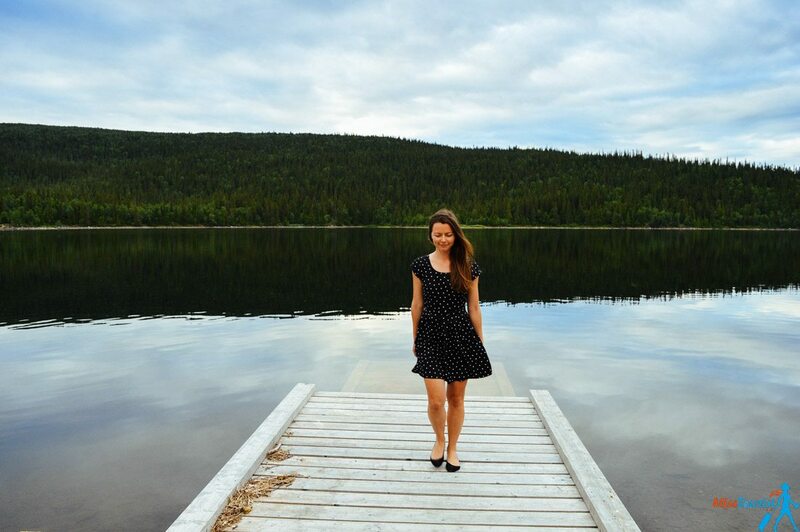 Fatmomakke is a great town to stop by if you want to see the traditional lifestyle better. It is a traditional church town with crazy beautiful water reflections. 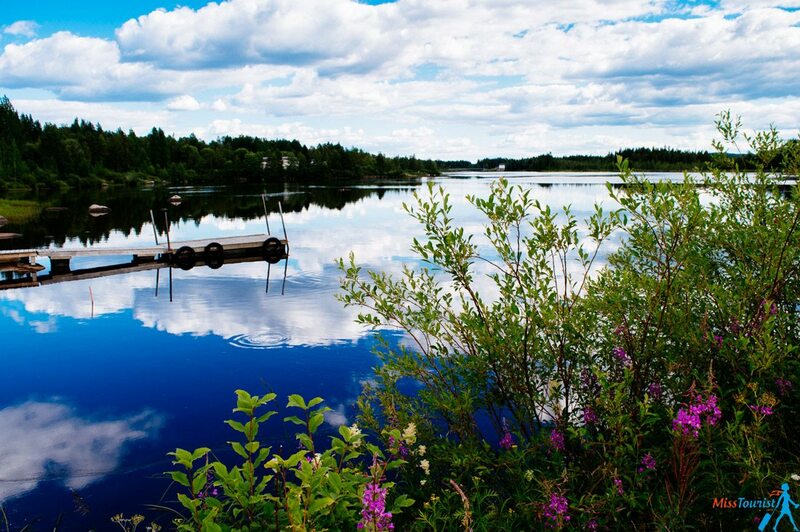 By the way, I have never seen such perfect reflection in the water as in Swedish Lapland! To be fair, the one in Bolivia was pretty awesome too, but salt flats in Uyuni is not a lake, so it is a different thing. 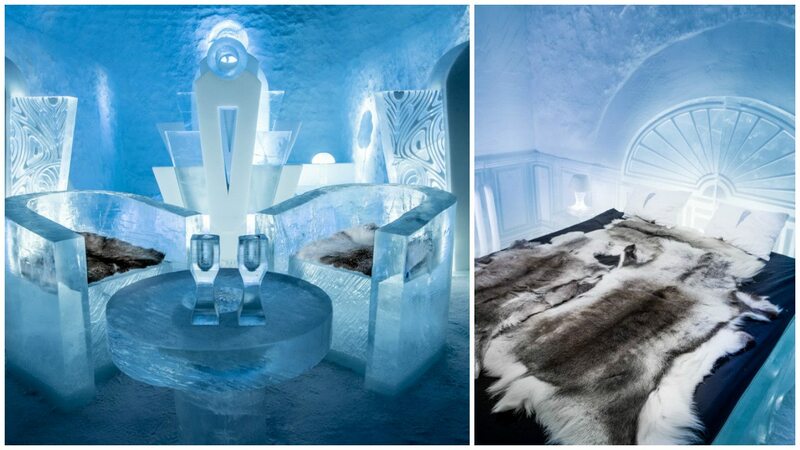 Oh my God, where if not in Lapland would you have a chance to eat from an ice plate, drink from a glass made of ice and, wait for it, sleep in the room made completely out of ice? (don’t worry, you will be given cover-ups, and coldest it gets is -5 C). If an Ice hotel is too cool for you (in all the senses of the word), how about staying in a Tree House hotel? 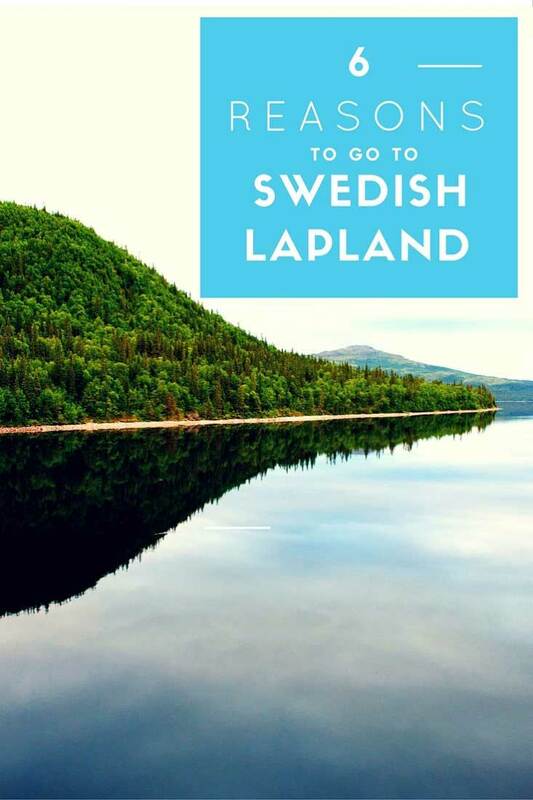 How to get to Swedish Lapland from Stockholm? As I said above, you can fly or you can take a train. I did both – I flew on the way North and I took a train on the way back. Flying is easy, but let me also describe the advantages of the train. I love trains, I toured all Europe by train with an Eurail pass and discovered my native country, Russia by taking the Trans-Siberian railway. 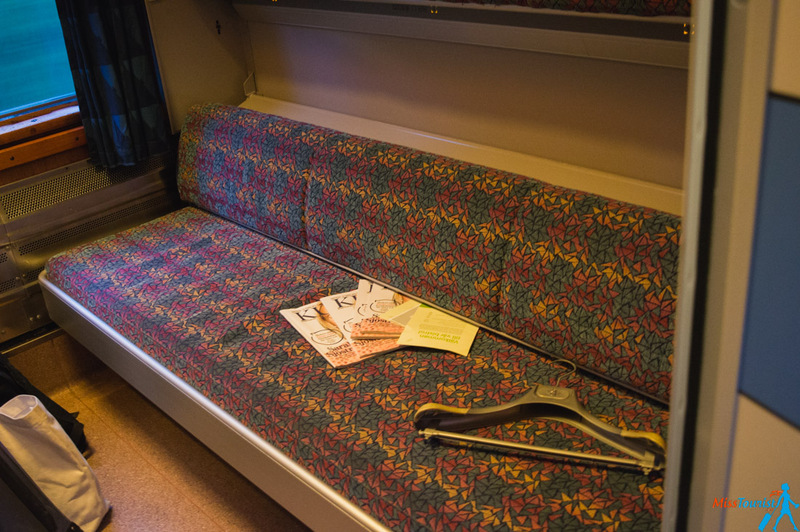 And I can tell you – I have never taken such comfortable train anywhere like in Sweden. They even had a shower! The Swedish Rail System is called Inlandsbanan (no, they don’t have a banana as their logo, but you are right, they should!). It is not cheap, true – but hey – when will you have a chance to take a shower while riding a train, huh? Not to mention the whole train ride is pretty scenic and you don’t spend time on transportation as it is an overnight journey. 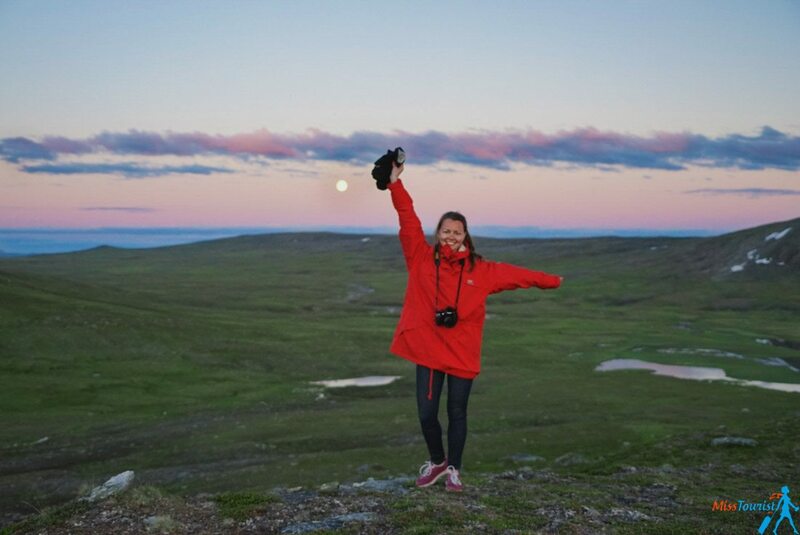 The day is never ending in the summer in Sweden, meaning it is still light at 3 am, so you can enjoy the view all night long if you wish to do so. Take clothes for all weather conditions – it was cold on the first day, but we were very lucky that the next three days were warmer. It is hard to reach, so I recommend renting a car . Without it, you won’t be able to see much. But at the same time, this destination is so off the beaten track that you will be able to enjoy the serenity and the beauty of this place by yourself. I think it also might be a perfect honeymoon for those who like raw untouched nature. What’s the weather like in Swedish Lapland? Oh boy, it can vary anywhere between -40 C and +30 C depending on what season you are visiting. I was there in July. it was quite hot (maybe about 25 C), but also windy sometimes, so I was wearing a winter proof jacket. 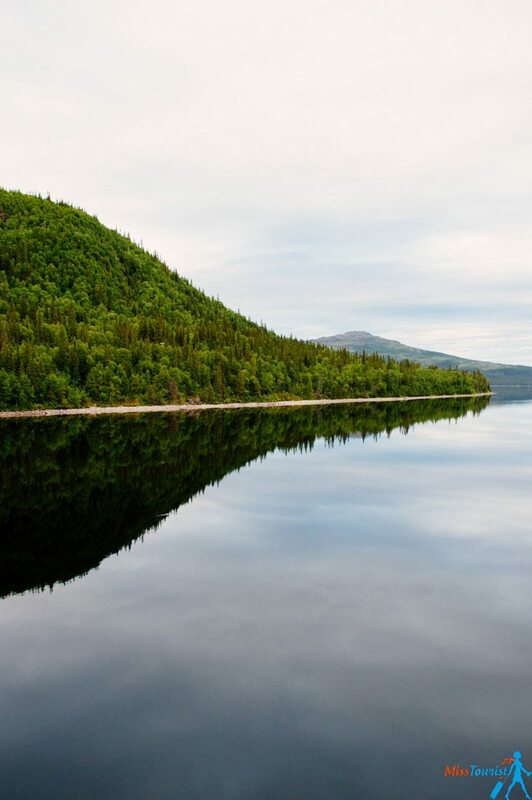 Go in the summer for the Midnight Sun, hiking, fishing, mountain snorkeling. 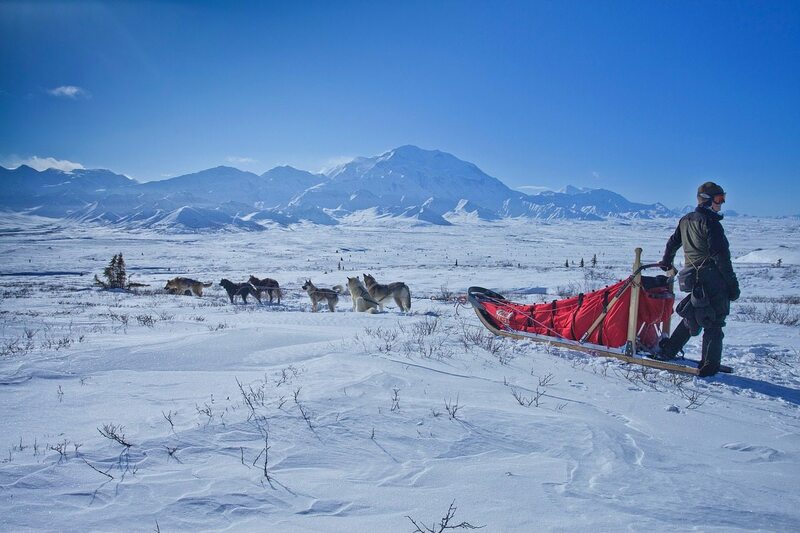 Go in the winter for the Northern lights, skiing and dog sledding. Aurora Burealis is still on my list, by the way! I did not manage to see it in Iceland too as I was there in August. P.S. If you want to discover the South of the country, I have two great articles on that – 3 days itinerary for Stockholm and Things to do in Stockholm Archipelago. If you want to visit more things in Swedish Lapland, like Lulea and around there, read this post. Disclaimer: This trip was made possible thanks to the Sweden Ministry of Tourism. My opinion, however, always remains my own. People mistakenly assume Lapland is only in Finland, but that is not true. 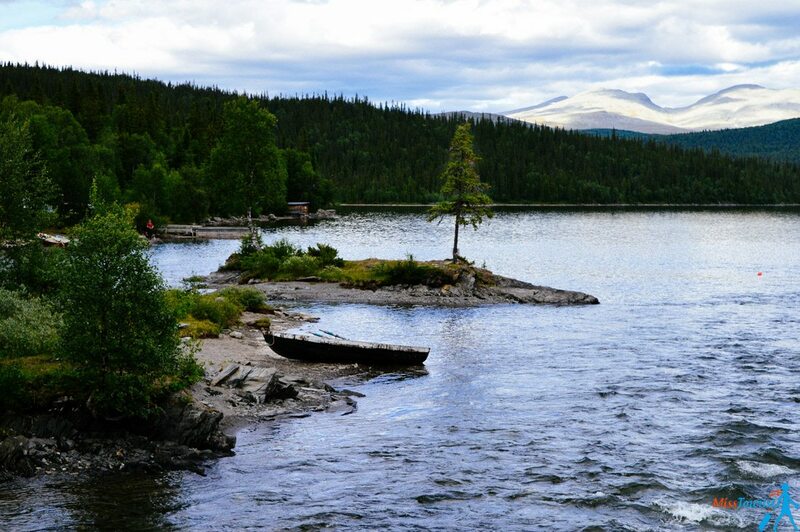 Lapland is on the North of the Arctic Circle and it includes Swedish Lapland as well. I have been there in the summer and found that there are so many things to do there! 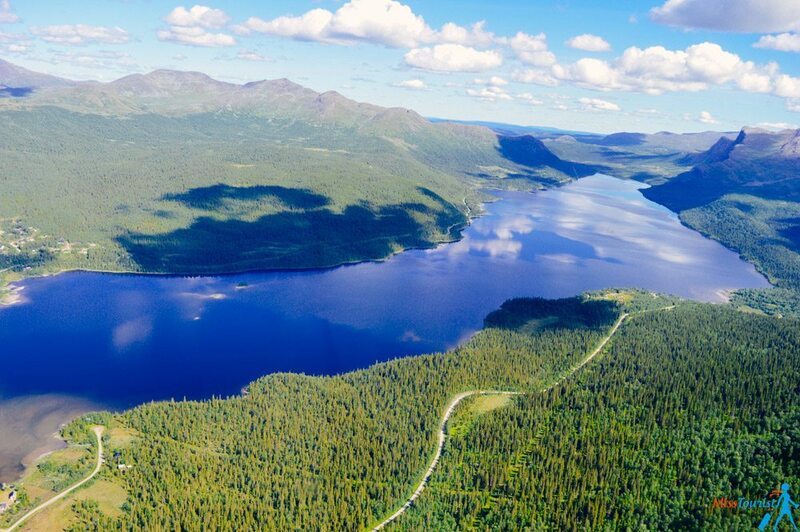 It has it all – incredible fairy tale nature, endless lakes with mirror like reflections, incredible activities like mountain snorkeling or a mesmerizing helicopter flight – all these can be done 150 km from the polar circle without the crowds of tourists in almost 24-hour daylight! Come say “Hi” on Instagram or Facebook! 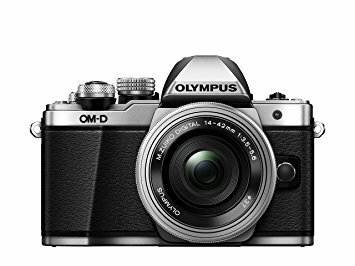 As usual, write any questions in the comments, I will be happy to answer!